Carl and Phil decide that the ladder to success at the post office is missing a few rungs. They know that big money is waiting for people with entrepreneurial spirit and sound business judgment. They have lots of spirit but little of the judgment, and their new gourmet health food restaurant flounders. Zippy’s a popular cross town spot has been crowded ever since a notorious mobster was shot there over twenty years ago. What if someone could get murdered in their restaurant? 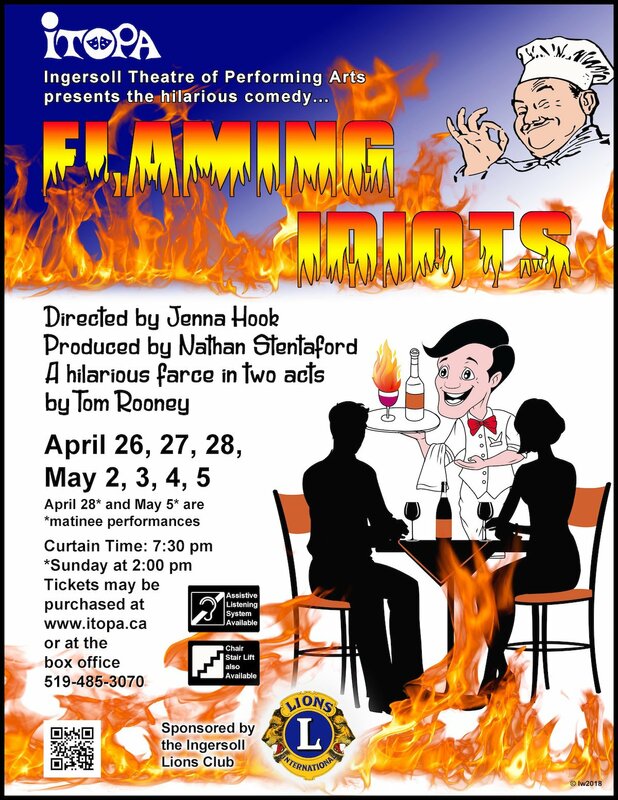 Flaming Idiots is a contemporary farce which will keep you laughing every minute.